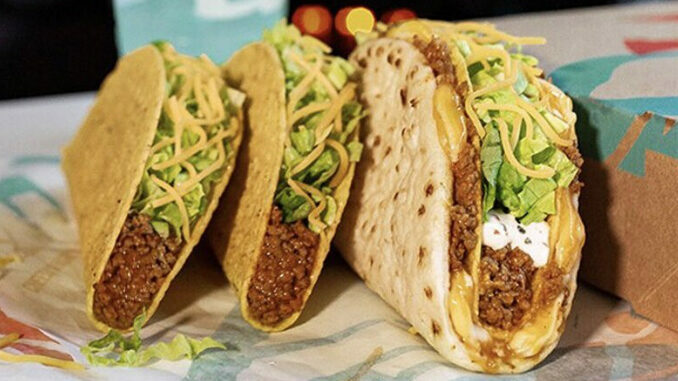 Taco Bell is once again serving up the Double Cheesy Gordita Crunch at participating locations nationwide for a limited time. 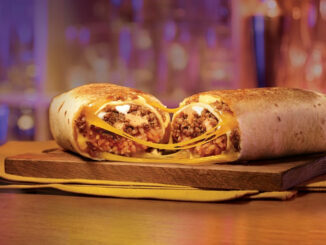 Originally introduced back in the summer of 2018, the Double Cheesy Gordita Crunch features a hard taco shell filled with seasoned beef, lettuce, real cheddar cheese, and spicy ranch sauce all tucked in a piece of folded flatbread with a melted three cheese blend and a second helping of seasoned beef. 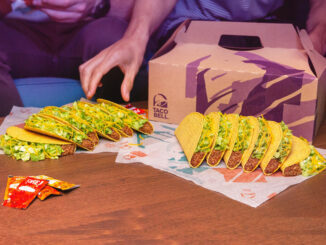 The Double Cheesy Gordita Crunch is available on its own for a suggested price of $3.49, but you can also get it as part of a $5 Box combo, which includes one Double Cheesy Gordita Crunch paired with two Crunchy Tacos and a medium fountain drink.